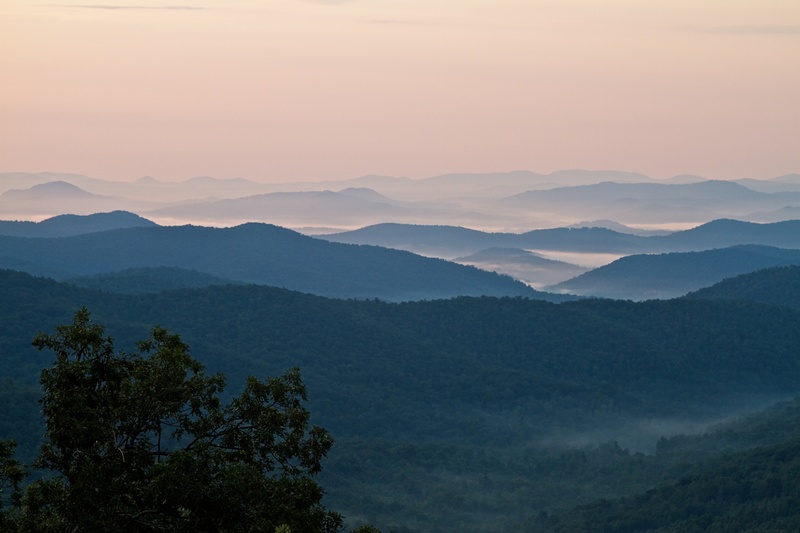 Here a few shots from my recent trip to the Great Smokey Mountain National Park via the Blue Ridge Parkway. 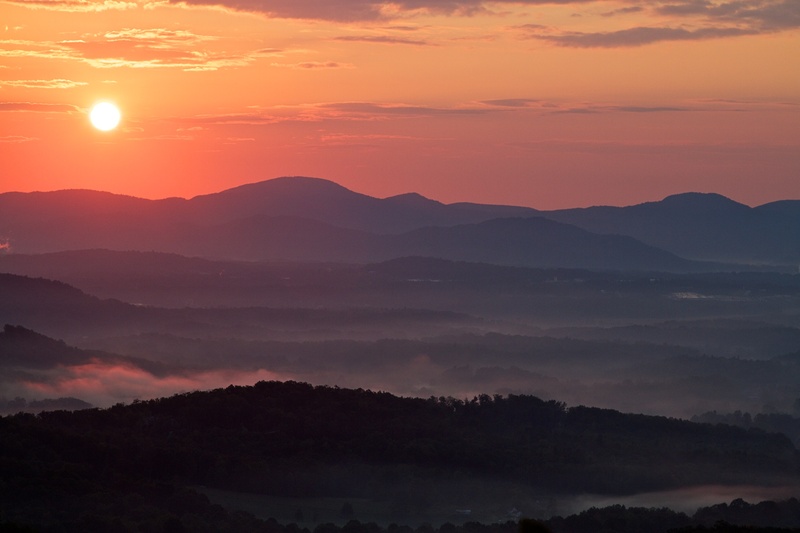 These two shots were taken early (very early) in the morning from the Blue Ridge. It was gorgeous and a nice, cool break from a long Florida summer. 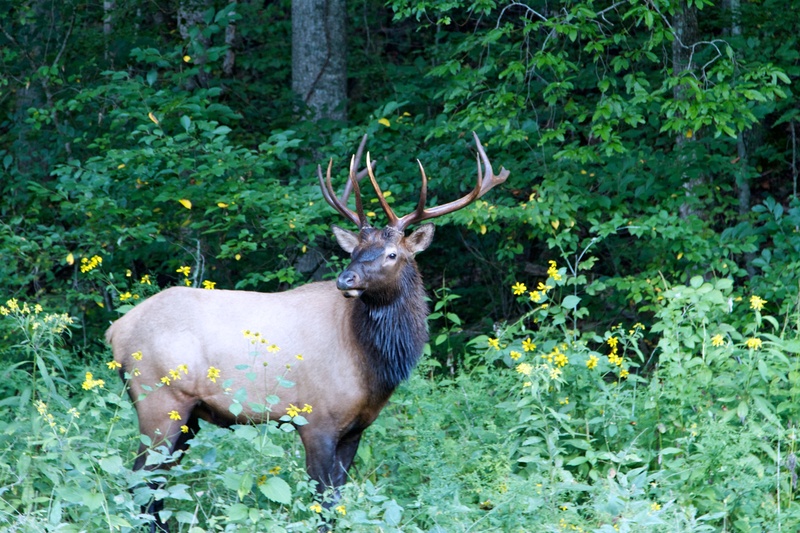 This guy was just standing on the side of the road near the Smokemont Campground. Again, very early. 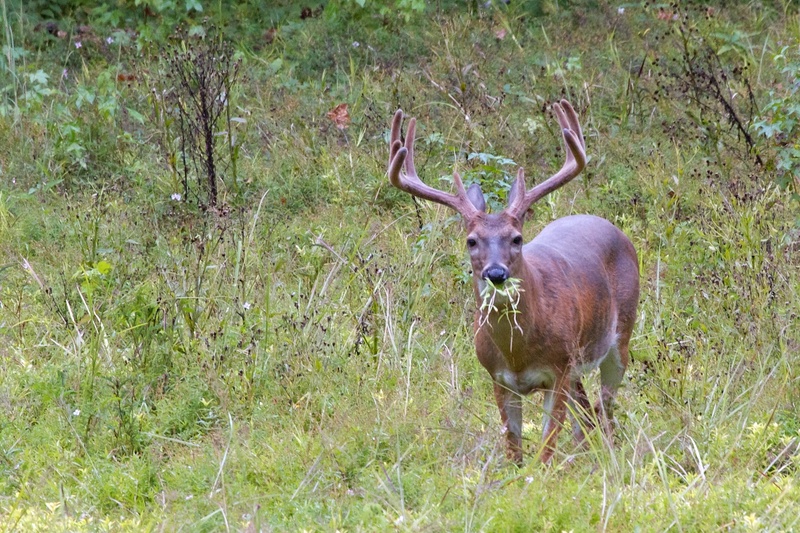 And this guy was well off the beaten path in Cades Cove. 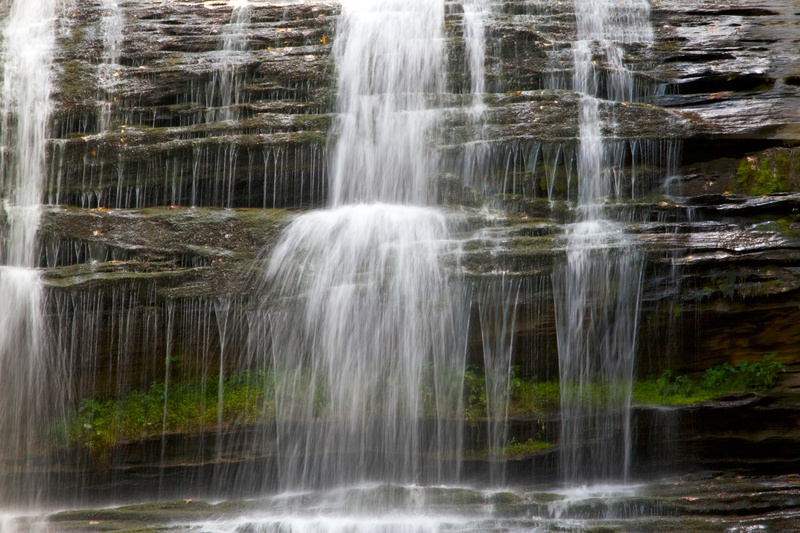 Finally, here’s a shot of Pearson’s Falls, just off of I-26 near Saluda, NC. After spending almost 9 hours behind the wheel, this walk was a short and enjoyable detour. Just what I needed at the time.